In a small bowl, combine chicken and one envelope taco seasoning; spoon into pastry shells. Top with salsa and cheese. In a large bowl, whisk the eggs, cream, butter and remaining taco seasoning. Stir in chiles and olives. Pour over cheese. Cover edge of quiches loosely with foil; place on baking sheets. Bake at 400° for 33-35 minutes or until a knife inserted in the center comes out clean. Let stand for 10 minutes before cutting. 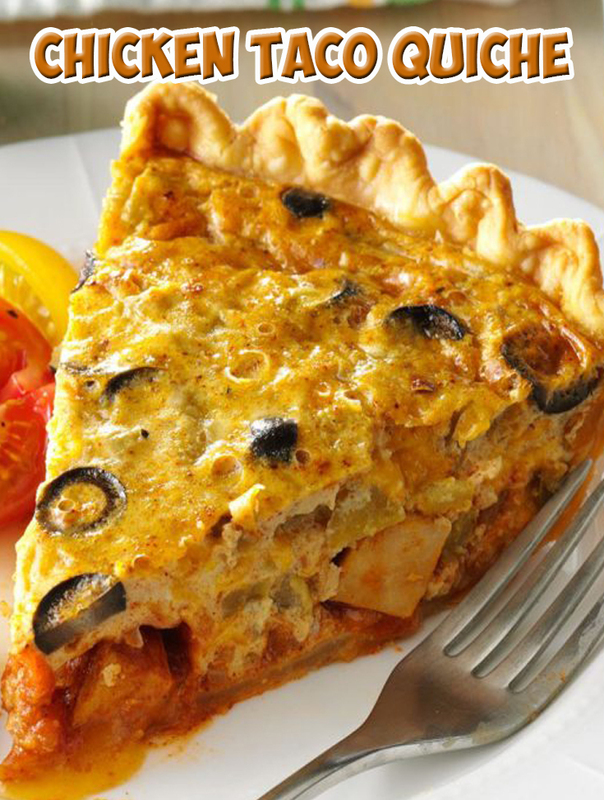 Freeze option: Cover and freeze unbaked quiches. To use, remove from freezer 30 minutes before baking (do not thaw). Preheat oven to 400°. Place quiches on baking sheets; cover edge loosely with foil. Bake as directed, increasing time as necessary for a knife inserted in the center to come out clean.